Stop Dieting! I am begging you! Stop Dieting for God's Sake, for your sake, for your family's sake, how about for your country's sake! Why am I so husky, stocky, pudgy and just cannot fit into any pair of Jeans? Stop dieting and if you do, this is your first day to freedom from the diet and binge rollercoaster. Being a husky boy, there was constant disappointment in my size and portliness. I was not obese, but I was definitely way too chunky. On Sundays, my grandma Lily would fatten me up like a thanksgiving turkey with every Jewish food known to, well, the Jewish people, bagels, lox and chicken soup. And she did not stop there. The next courses had rugelach, black and white cookies, chopped liver, sea toast crackers, kugel, kishke, challah, gefilte fish, flankin soup and knishes. Is that enough? I thought so too, but grandma did not. It was a 36 course meal that extended for eight hours or more. I know my grandma was doing this out of love, she would say “Benjy, Benjy, essen Benjy, eat, Benjy eat something”. I would certainly feel guilty if I did not oblige grandma because she would sulk and look very upset if I did not eat whatever she brought before my ten year old eyes. By the time my Dad would come to pick me up from grandma's Williamsburg Brooklyn apartment, I could barely move I was so full. When my father came in her apartment, she would say to him in Yiddish, right before we left “Freddy, farvos is Richie azoy groyz? Freddy, why is Richie so fat? !” Duh, I thought. Now I just told you some of my history with weight and dieting. I have a huge amount of compassion for anyone who is struggling with losing weight. That is why I wrote this post to help you stop dieting. Some people think that we just have no control, we have no discipline, we are lazy and sit watching tv all day while consuming ben and Jerry ice cream. That is only part of the story. Just yesterday, a new study confirmed what I have always felt, but have been ridiculed many times when I suggest that as a reason for not being able to maintain a slim weight. A recent study released Wednesday by Connecticut College makes the bold claim that Oreos are as addictive as cocaine — at least, in lab rats. You think that is shocking to me? I have been addicted to Oreos since the dawn of my life! But at least I have some confirmation of what I have always felt! Connecticut College psychology professor Joseph Schroeder told CBS News that rats who ate the high-fat cookies and rats who were exposed to cocaine or morphine had the same pleasure center of their brain stimulated. No kidding, just try some oreos yourself, I have never tried cocaine myself, but I imagine that Oreos are better! “When we looked in the pleasure center of the brain, we found that the Oreo cookies activated the pleasure center more so than cocaine would activate the same center,” Schroeder said. A majority of the people polled on CBS News’s website agree that Oreos are addictive. In fact, 68 percent of respondents said that Oreos are addictive. Other sources disagree with this claim. 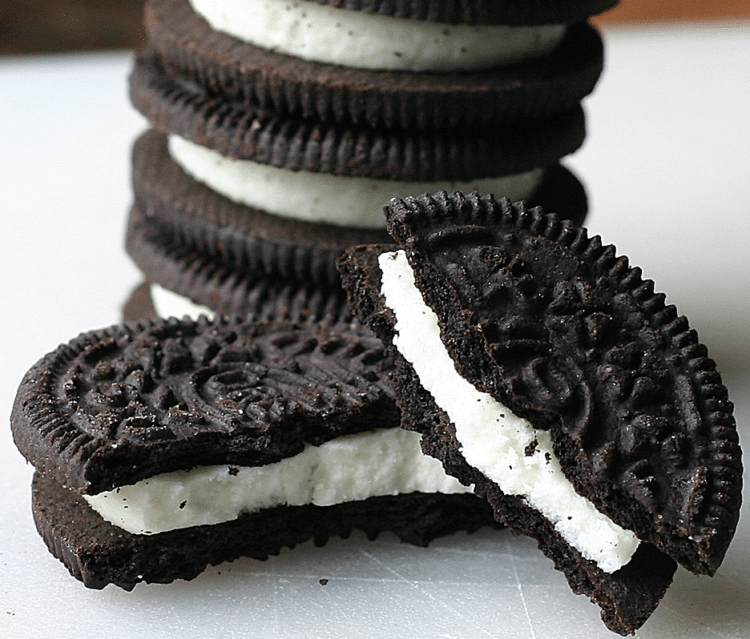 Science blog ZME Science states that Oreos cannot be classified as being more addictive than cocaine because there haven’t been enough studies done on people with Oreo withdrawals, highlighting the difference between physiological addiction and psychological addiction. Well, they could have done plenty of studies on me or anyone else that has been overweight on how difficult the withdrawal is from Oreos and any other highly loaded carbs, fat and sugar foods, including bread and pasta. “In the study, they put rats in a maze and showed that they spent the same amount of time on the side where they were awarded with sugary food compared to the side with not-pleasure (that is bland food) compared to the side of the maze where they were awarded with pleasure (via drugs) vs not-pleasure (that is, not drugs). Interesting, but you can’t really go on saying this shows Oreos are like drugs,” the ZME Science article states. Yahoo! Health’s Prevention blog also claims that other food groups are more addictive than cookies, including chocolate, french fries, candy and ice cream. You can stop dieting and start living. Learn more how here.